Ernie Barnes was a great artist who recently passed. His work is legendary and there was always a sense of going forward or movement in his work. 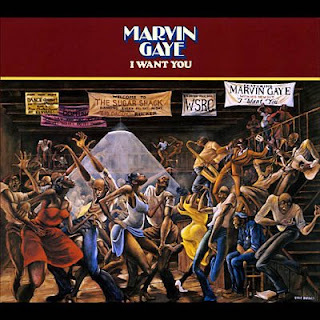 His painting of The Sugar Shack graced the cover of Marvin Gaye's album I Want You, one of my favorite covers and albums of all time. His art also blessed the show Good Times. He truly was dyn-o-mite! Rest In Peace! This is Part 2. More awesome! Eminem is a funny dude! This is Part 1 of a behind-the-scenes look at the making of "We Made You". It's all filled with awesome! Relapse drops May 19th. Outasight is back with another episode. You can check him prepping with his band. From Here To Eternity is coming! Also, check out Outasight performing at Santos on May 21st. Yours Truly interviews Exile about his dope project Radio and gives us a taste of some beat-making. Dude was making beats through a car stereo. That's some serious ish. Another video from Murs. Dude is seriously on his grind. Artist Alex Pardee gives us a sneak peek of his animated series Chadam. It features Katey Sagal (ahem...Peg Bundy), Sid Haig and Carl Weathers. It looks pretty cool. Alex has done art work for Def Jux and laced the cover of Cage's upcoming album. In the third installment, Will Roush travels back to Philly circa 1987. He meets up with Jazzy Jeff and cuts his own version of "Parents Just Don't Understand". Look out for Will's mixtape Know My Name Vol. 1. A little trailer for Kid Daytona's mixtape The Daytona 500, dropping May 5th. Look out for his full-length Come Fly With Me this summer. Substantial and UAUTV sit down with the God Rakim as he talks about his career, Nas and his influences. I wish Stan took the opportunity to ask him about his album and when it's coming. Another video off of Murs' Murs For President. I'm loving a lot of the videos being produced nowadays. This one is super-fly. DMC breaks down the origin of the song "My Adidas". Pay attention! Legendary photographer Ricky Powell talks candidly about his career and some of his favorite shots. This clip is taken from the documentary Dithers. This clip is wham-bango! I saw this and had to post it. This 18 year old kid from Japan is an ill beatboxer. Diochi is his name and he needs to be making some beats. 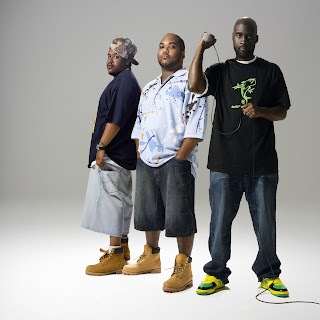 De La Soul has partnered with Nike to bring you Are You In?, the new album from their shoe giant's series. Drops on Tuesday, ya'll. This dude has taken some classic snapshots of Run-DMC, Public Enemy, Beastie Boys and many more. Tonedeff interviews Mr. SOS as we await his album How I Learned To Stop Worrying And Love The Bomb. Go to QN5 to pre-order the album and get all things baby blue. Yessir! The homie 6th Sense dropped the actual songs to his instrumental album It's A 6th Sense Beat, Yo!. 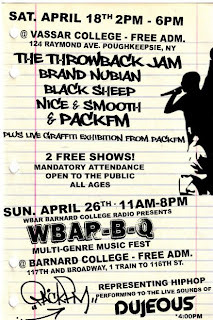 You'll be hearing the likes of Kid Daytona, Black Element, Talib Kweli, Jelani, Wildabeast and many more. Don't sleep! Nice little interview with DJ A-Trak. I remember when this dude was ripping the DJ scene up at age fifteen. Obscure Disorder anyone?? New crazy, ill video from Junk Science. It was all shot in their apartment for zero dollars. A 2dbz premiere. New album A Miraculous Kind Of Machine coming later this year. Episode 2 from the U-N-I Love Supreme Video Blog. Labels: love supreme, u-n-i, video, what job? U-N-I telling stories from their lives. Pick up A Love Supreme. Some beautiful shots in this video. I miss Hawaii and I have never been there. I'm not familiar with Moray McLaren but I like this song and the video is pretty ill.
Jay Smooth's commentary on the scandal caused by Perez Hilton at the Miss America pageant. This is some straight up 90's ish. This is off Kurious' new LP II. I have to say Kurious > Serch on this one. I posted this because I love Digable Planets and it has shots of some of my favorite album covers. Dooblebug's new album Futuristic Sci Fi dropping this Fall. Murs is back with another video off of his album Murs For President. This is the third part of a series. 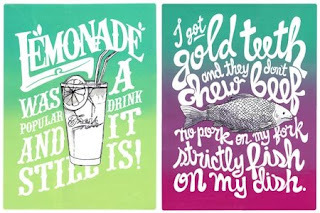 Artist Natalia Grosner took some hip hop lyrics and flipped it into some art pieces. Guess the songs they come from ya'll. Check out her interview over at Format Mag. Coming off the last episode, the homies from The Real start a beef with Joe Budden. These dudes are funny! This is the trailer for Paper Heart, Charlene Yi's (Knocked Up) fake documentary about how she doesn't believe in love but finds love along the way. Starring Michael Cera (Superbad). Looks funny! Outasight is back with another episode. The album From Here To Eternity coming soon! Jay Smooth is back with another insight on the bling phenomenon and the unwise decision to reinvest in such materials. Subway Art was an impactful force on my childhood. It was one of the first Graffiti books I'd ever seen and still have on my shelf today. It really gave Graffiti a background for people who didn't understand it and it began the push for its legitimacy as an art. Henry Chalfant and Martha Cooper reminisce about the making of the book and tell us what's in store for the anniversary edition. Classic! 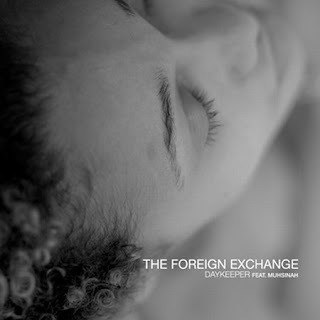 The Foreign Exchange come through with another dope video for one of my favorite songs off the brilliant album Leave It All Behind. San Francisco Emcee/Producer/DJ Kero One comes through with this video from his sophomore effort Early Believers. New video off of Rhymefest's latest mixtape The Manual. Fest took BDK's "Warm It Up, Kane" and flipped it into a battle. Real dope! Blu & Exile and M1 Platoon performed at Kooley High's Kooley Is High mixtape release party. There's also a dope documentary out about the day to day struggles of Kooley High. Google it, I promise you won't regret it. The homies at The Real conduct couples therapy with Joe Budden and Tahiry. Hilarity ensues! The weatherman talks about being introduced to production by QD3, his relationship with his group members, recording technology and The Weatherman LP. Evidence's third solo effort Cats & Dogs is coming! 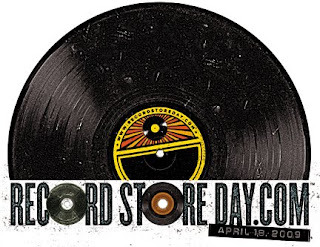 In honor of Record Store Day I will not download any music today. Visit your local independent/mom and pop record store and buy some music to show your support. Classic Video Series - I'm kicking this new Friday series with Large Professor's "The Mad Scientist". 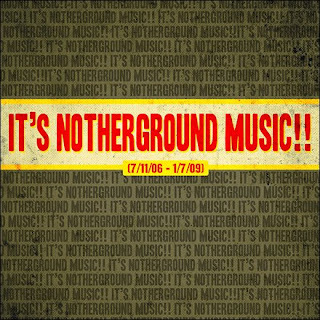 Large Pro, one of my all time favorite producers, created one of the greatest albums to never be released in The LP. With its spared drums and mid-90's sound, it was supposed to be one of the most pivotal albums to be released but it was caught up in label politics. It stayed in the vault for seven years until Large Pro regained the rights and pressed up promo-only limited-edition copies. It was worth the wait. H.I.S.D. hail from Houston and got the co-sign from ?uestlove. I'm diggin' this song and what an appropriate time to post it up. It feels like summer! Check out their interview over at HipHopDx. Will Roush calls on Biggie for help. Look out for his mixtape Know My Name Vol. 1. Yessir!! RE is back! A little promo video for one of their new joints. Check out the homie STAYHIGH149 in the video, just legendary. The album is coming! I heard my homie Tah talk about this dude Nyle and I'm digging the video. It was all shot in one take. Fashawn is one of the great talents coming out of Fresno. Get his newest mixtape One Shot One Kill and keep an eye out for his debut Boy Meets World. New video from Invincible off her banger Shapeshifters. She introduces the video outside of MTV Headquarters explaining they thought it was too much for their audience. Too much?? Interview with Scienz of Life member John Robinson. He takes us on a tour of some of the spots in NY. Interesting documentary about the downfall of the record labels and everything they're trying to do to stop the age of the independent artist. Out on DVD so check it out. Interview with Joell Ortiz as he breaks down his upcoming mixtape Joell Ortiz Covers The Classics. A funny story about Q-Tip meeting Miles Davis. 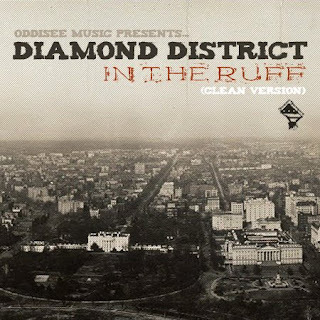 DMV's Diamond District features Oddisee, XO and YU. You won't be disappointed with In The Ruff. I'm going to say it, this is one of the top five records of the year. Check out PackFM do his thing. No excuses, it's free! Also look out for tickets for this year's QN5 Megashow in August. Amazing mural by South African artist FAITH47. She created this piece in the heart of Woodstock, Cape Town. I'll let the visuals speak for themselves. Gatorade has launched a new cartoon web series called Blokhedz featuring Talib Kweli and Bobbito Garcia. They'll be premiering a new episode every month. This is Louis Logic's side project Spork Kills off of their Beaches Love Us EP. Vote here if you're diggin' it. Another edition of True Hip-Hop Stories featuring Special Ed. Remember when people thought he was missing a hand on the cover of Youngest In Charge? Clever PSA cut together with the celebrity Rock The Vote campaign. Asher Roth's Asleep In The Bread Aisle in stores 4/20. 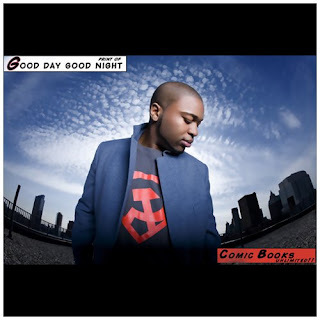 You must check out Print's new free album Comic Books Unlimited. The dopeness!! This is the joint! Off of The Grouch and Eligh's new album Say G&E. I'm definitely scooping that up when it comes out. I saw this while I was writing and I had to throw it up. I saw it months ago but it's still fresh from the homie Rik Cordero. Off of Wale's mixtape A Mixtape About Nothing. I still think the Mighty Joseph project with Vast Aire was slept on. Nice one from Karniege. 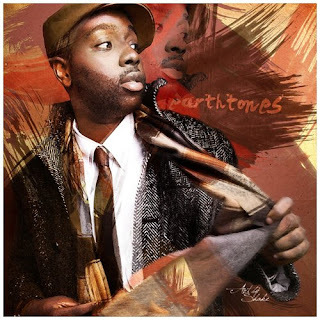 P.CASSO's new mixtape Earthtones is the shiznit. The Ecstatic due out June 9th. I have a good feeling about this one! I wanted to not like this joint but it's a catchy one. 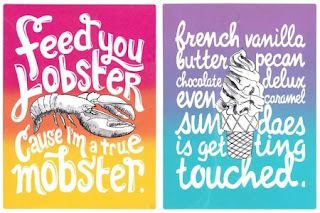 The lyrics are not what you would expect. Check for Fly.Union's EP We In The House. Oddisee's unique flow positions itself in the driver's seat over the melodic force of jr & ph7's production. 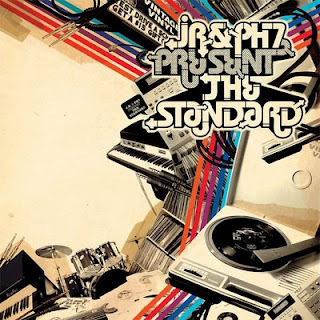 One of my favorite tracks on jr & ph7's The Standard, in stores now. Dopeness! I'm a big fan of these guys. Hilarious! Check 'em out at The Real. A video for "The Sun" off of Fusion Unltd. 's forthcoming album Cold Fusion LP. Feel-good music, let's go! Bulletin: A New De La Record??? Attention De La fans! Check the statement here. For all of you producer heads, Nicolay breaks down the creation of "Daykeeper" on his blog. Leave It All Behind in stores now. KR created his own ink and is now branded. It's amazing what Graf can do! Bottles On The White House Lawn dropping this summer. Wow! This is crazy, Alice in Wonderland type ish. Zion I's The Takeover in stores now. ALIFE is offering a 40% discount on your next purchase, of select stock, when you trade-in your used Alife T-shirt or sweatshirt to an ALIFE flagship store across North America. Recycle your life, go green! This video is super dope!! Dujeous rocks it all day! Another episode from Outasight featuring Cook Classics and 6th Sense. Another monthly recap from the homie 6th Sense. Oh, Lily Thai! Classic! This is dope. This is a skit off the Will Roush mixtape Know My Name Vol. 1 brought to life by Profesone and Skam2. A cool piece on Theophilus London. U-N-I release their first video off of A Love Supreme. Get the album for free here, young man! Rik Cordero released this unreleased video over at Channel Three/21. 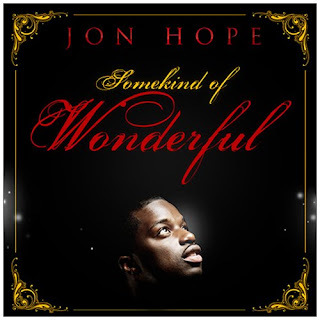 I listened to Jon Hope's new release on the iron horse and it really is an incredible record. You can tell Jon worked to the very last detail to make this piece as perfect as possible. Props to Jon Hope and IllRoots. It looks like Forte is wasting no time getting it in. Nice little joint. Willie Evans Jr. and Therapy of The AB's put their two cents in the situation by chopping up the Black Spade evidence video. Props! Labels: black spade, therapy, video, willie evans jr. Bringing honesty back to Hip Hop. SMH @ Rick Geez for not knowing Shock and Humpty are the same person. Read the rest at QN5. Slim Shady is back! Relapse is coming! I created the Lost Art series to celebrate and acknowledge the art of album covers. I remember getting lost in album covers because it gave me an idea of the world I was about to hear. 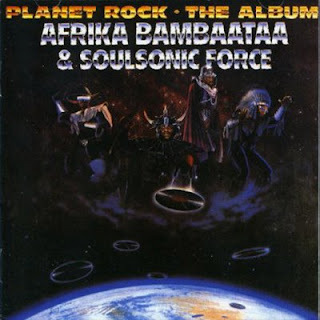 I thought I would set it off with the record that made me fall in love with Hip Hop, Afrika Bambaataa & Soulsonic Force's "Planet Rock".